Kansas forward Dedric Lawson (1) pulls up for a three over Iowa State forward Michael Jacobson (12) late in the second half, Monday, Jan. 21, 2019 at Allen Fieldhouse. For all of his offensive prowess, University of Kansas big Dedric Lawson, the most skilled player on the roster, isn’t necessarily known as a long-range threat. Picture the 6-foot-9 forward with the ball in his hands, and your mind goes straight to a layup, a jump-hook, a spin move or some type of impressive footwork display in the paint. 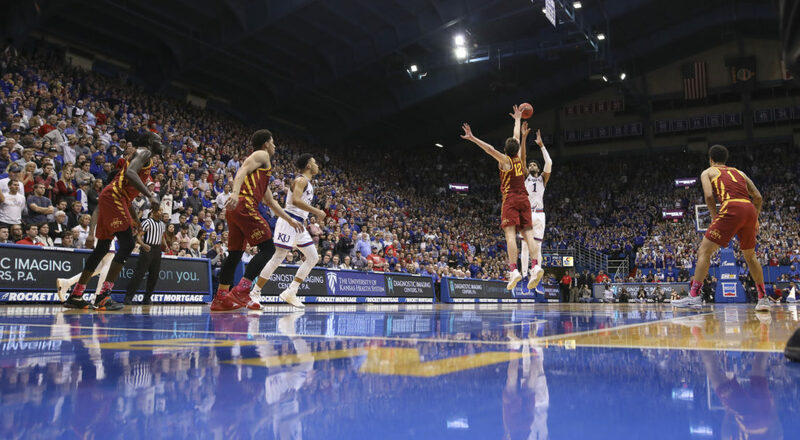 Yet, in crunch time of a tight Big Monday game against Iowa State, Lawson confidently drained a shot from behind the arc that gave the Jayhawks some pivotal breathing room, a 5-point lead, in the final 30 seconds of what proved to be an 80-76 KU victory. 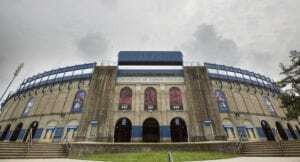 Entering the primetime rematch with the Cyclones, Lawson had gone three full games — a span of 13 days — without making a 3-pointer in a game, having attempted just one during KU’s Saturday loss at West Virginia. Even though Lawson walked into Allen Fieldhouse on Monday as a 20.7 percent 3-point shooter on the season, with a career 29.1 percent mark from deep, his ability to step up and deliver the largest shot of the night versus a relentless ISU team aiming to sweep KU came down to some pretty simple factors. As tends to be the case for any player with a hot hand, the moment didn’t feel too onerous, because Lawson was playing with comfort and confidence. He already had connected on 12 of his 16 shot attempts before coming through with a crucial 3-pointer, and he had already seen the ball go in from deep during the first half on his only other long-range attempt of the win. Following his 29-point, 15-rebound show, which helped keep KU (16-3 overall, 5-2) at the top of the Big 12 standings, Lawson shared that the hours leading up to one of his best individual performances of the season were just as important. “I put pressure on myself to get in the gym early before the game today, just to get a better rhythm before the game started,” Lawson said, adding he would have spent even more time doing so, but ISU was on the court longer than he expected. 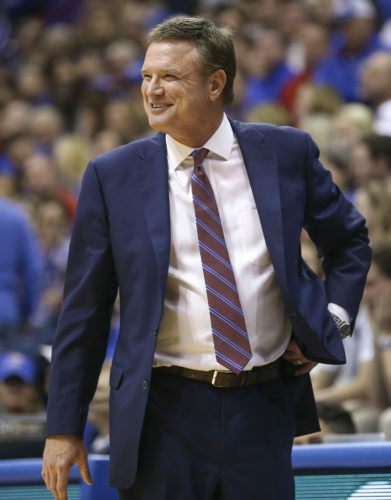 Kansas head coach Bill Self, too, noticed Lawson working on his jumper on Monday, long before the star’s “great night.” During the team’s shootaround, Self said, the Jayhawks had to wait at one point to move on to the next item on the agenda, because Lawson was finishing up a shooting routine that wouldn’t conclude until he missed. And the big man kept going because he kept right on draining them — somewhere around 14 in a row. That rhythm hadn’t left his body hours later, when KU needed a last-minute basket to bury Iowa State (14-5, 4-3). As the shot clock neared 10 seconds, Lawson began moving up from his spot on the right block to set a screen for freshman point guard Devon Dotson. As Lawson came up on the right wing, he remembered Dotson had been going left “most of the time,” and the forward began positioning himself for a pick that would allow Dotson to head that direction again. “And this particular play, I set it going left, but he rejected it and went right,” Lawson recalled afterward. Dotson’s improvisation affected all three defenders on that half of the floor. Lindell Wigginton had to try to stay with the driving point guard. Michael Jacobson, who was guarding Lawson, was forced to drop toward the paint to cut off Dotson’s angle to the rim, too. Marial Shayok helped down toward Dotson from the corner, off of Marcus Garrett, as well. 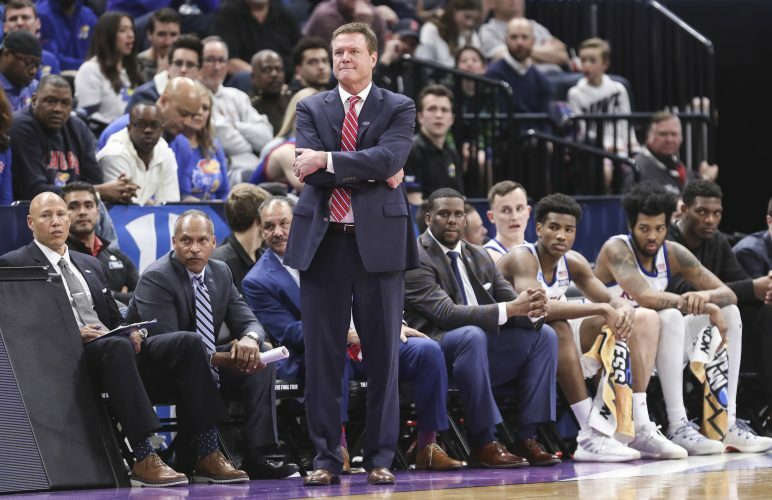 The attempt from downtown even pleased Self, who just two days earlier had not been too enthused by a couple of last-minute 3-point attempts under different circumstances in the Jayhawks’ loss at West Virginia. 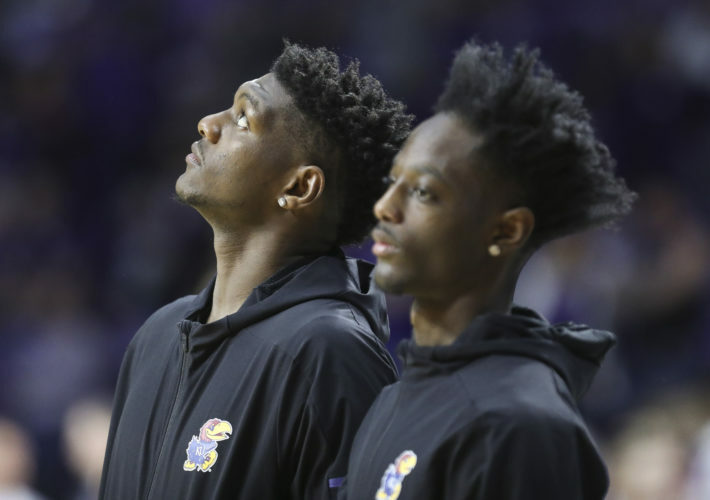 Lawson’s 3-point look, unlike the two last-minute, one-on-one attempts missed by Lagerald Vick at WVU in a loss, came off guard penetration, making it a solid shot — even if it was leaving the hands of a man who now has connected on only 8 of 31 3-pointers (25.8 percent) this season. KU needs for Lawson to have the ball as often as possible when games are tight. That didn’t happen at WVU, when Lawson went from the 3:04 mark of the second half until the game’s final second without a shot attempt. Maybe his timely 3-pointer against ISU will double as a reminder of that fact moving forward. Lawson isn’t perfect offensively. His 2.4 turnovers per game are the second-most for KU (Vick averages 2.8). And Lawson gave the ball away a team-worst four times versus Iowa State. But none of those slip-ups came in the game’s final 12 minutes. 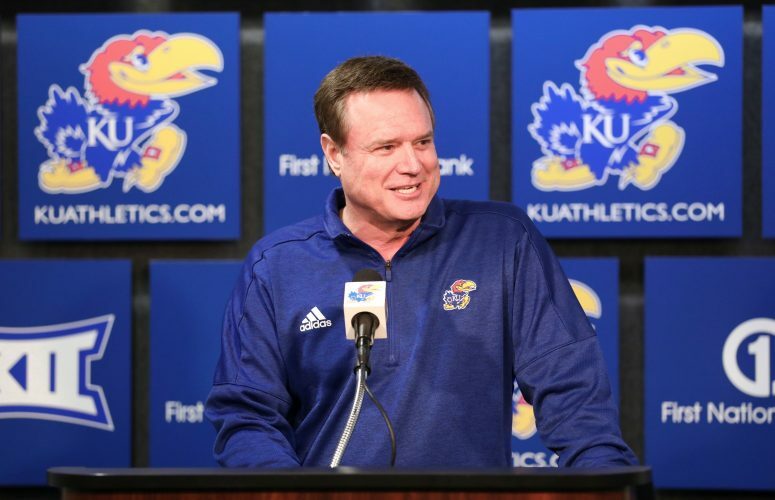 High-tension games should feel a little less painful for the Jayhawks if they can keep Lawson involved, because his feel and smarts mean that he won’t force the issue. He’ll just take the shots that he can sense are right for a particular moment, like he did to beat Iowa State. Here’s something to keep an eye on, as well, with KU’s go-to scorer. In the 10 games this season that Udoka Azubuike has missed, Lawson has far more aesthetically pleasing 3-point numbers as the one and only focal point of the offense. It’s a small sample size, for sure, but Lawson is 7 for 17 (41.2 percent) beyond the arc as the lone big in a four-guard lineup.